And for European customers we can take card payments again! Happy 4:20 everyone! 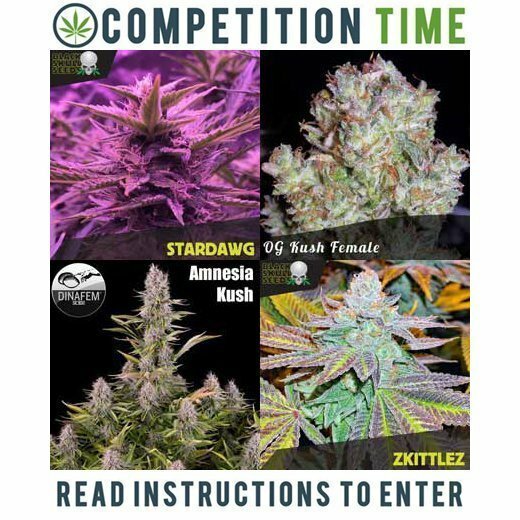 To celebrate world stoners day we are launching a fantastic new promotion with our great friends at Heavyweight seeds We are giving away free Auto Massive Midget Female seeds with every 5 pack and 10 pack of heavyweight seeds purchased All you have to do is enter the coupon code 'HEAVY' in the coupon code box at checkout and your free seeds with be added Auto Massive Midget is one of our best selling auto strains this year so this is a chance to get your hands on some premium auto genetics for free. This strain stays fairly squat with an average height between 50 and 80cm but more that makes up for its stature with heavy resinous buds which are covered in THC crystals. With a THC level in the region of 17-19% this strain is no slouch and packs the classic heavyweight punch we have come to expect from this seedbank. Auto massive midget has a fruity citrus aroma which tickles the tastebuds and results in a high that is calm and creative. Like all autos this strain is perfect in all grow conditions and is easy enough for a beginner but under expect guidance has huge potential! Auto Super bud is a new Auto-Fem strain from the greenhouse seeds company and was created by crossing super bud and their Auto flowering line. GENETICS Super Bud x Ruderalis EFFECTS Strong effect, fast hitter. A very sedative type of body-stoned. FLOWERING INDOOR 7 weeks flowering time with a yield up to 600 gr/m2. Can be flowered at 18 or 12 hours photoperiod. 9 weeks total crop time. FLOWERING OUTDOOR 7 weeks flowering time with a production up to 70-80 gr/plant. Very short plant, small branching. 60-70 cm. total height. Can be flowered any time of the year provided temperature stays above 10°c Buy Now!